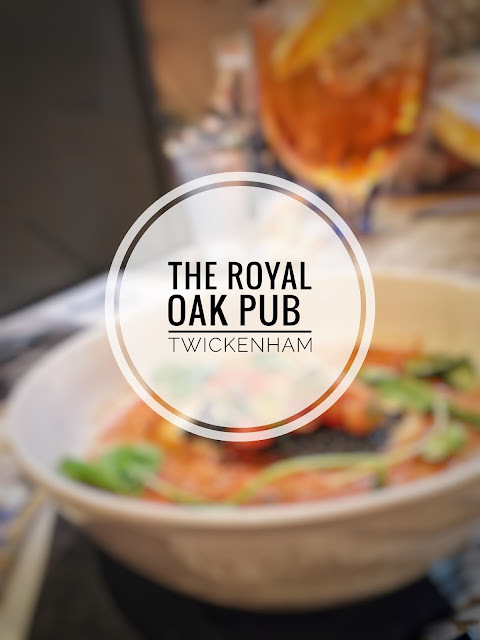 I'm always interested in seeing what pub food is being served on my doorstep and after being through a number of uninspired refurbishments over the years, The Royal Oak pub in Twickenham is now under new management by new restaurant/pub group Hippo Inns. For this reinvention they have gone back to the original name and reopened with an exciting new menu in an attempt to attract family style eating. 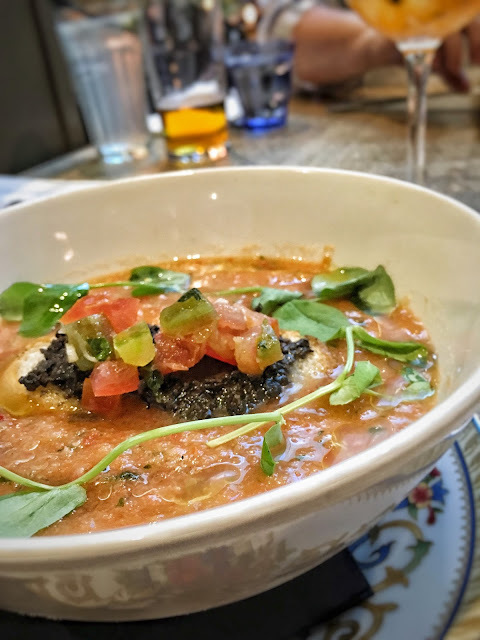 The menu options feature hearty plates of lamb, pork, steak, in-house smoked salmon, (didn't get to try this) a deliciously popular risotto starter and many other new dishes that are proving to be quite a hit - I really enjoyed the gazpacho (if you want a healthy choice). 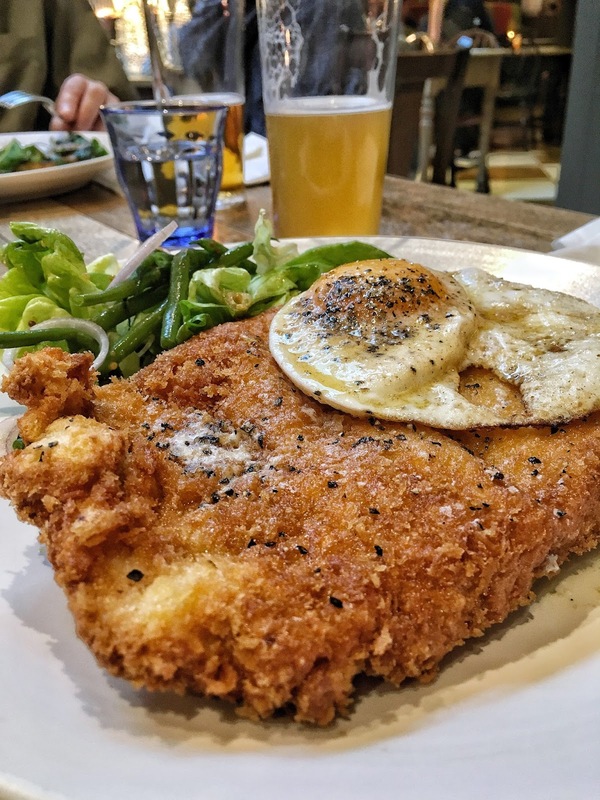 If you try excavating into one their pork schnitzels (they are large) opt for a lighter starter and pair it with one of the Trumans beers. These beers are a cut above the usual selection offered at most places and without the price tag but not only that, their beer is raw and real. 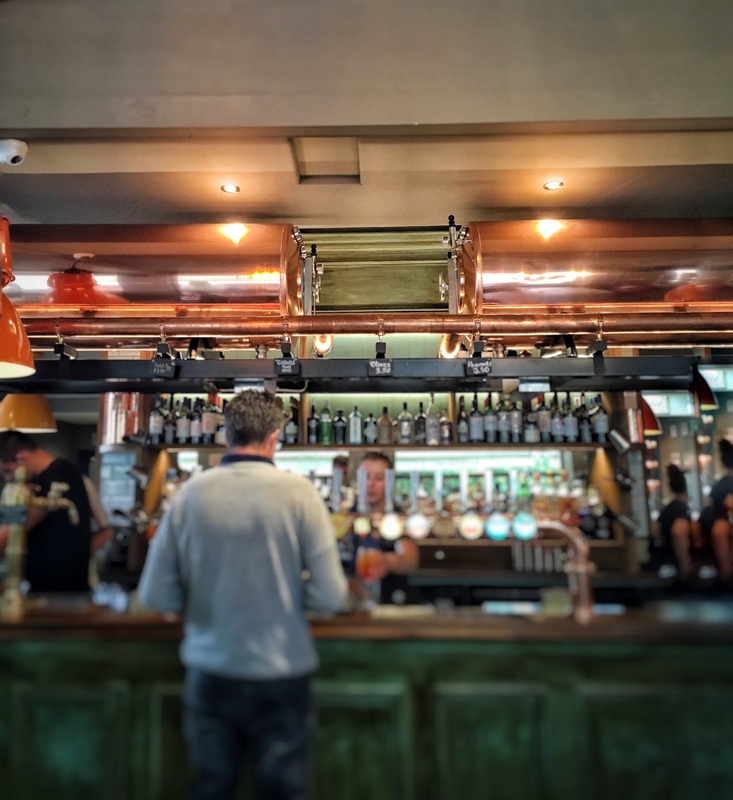 Unfiltered and unpasturised straight from two copper tanks installed directly above the bar. The downside: (I will always keep it real) The Royal Oak has only been opened a few weeks - already one of the ladies toilets is out of order, service (order taking) was a little slow on both occasions. More recently we were served raw egg on the schnitzel which had to be sent back to finish off cooking. The pic below is after it has been re-cooked. 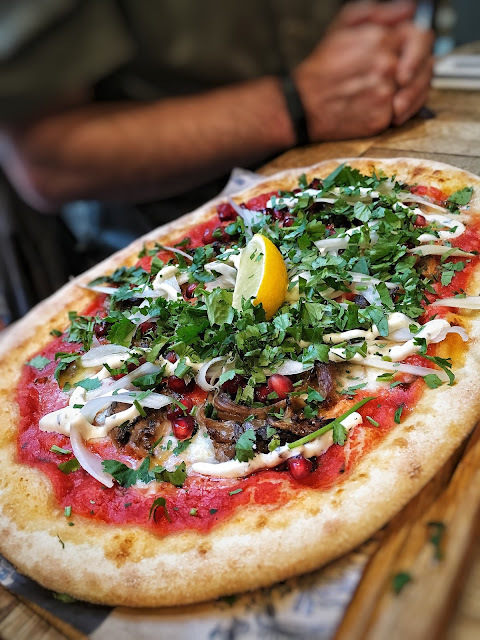 The food is however most certainly delicious, all seasoned well, steak cooked exactly as asked, friends reported that the lamb pizzas were very tasty but for me they need to keep their standards consistent otherwise they'll struggle to attract and maintain that family crowd they're so eager to please. If they do and I hope they do, they'll most certainly have a captive audience that will return time after time. Despite the minor issues above, I believe apart from one or two other places in town, their pub food is by far better than anything else currently on offer in Twickenham. La Salon Prive (The Private Lounge) is actually a newly re-invigorated, and much needed refurbished Brula - a French Bistro restaurant based in St Margaret's, Twickenham for over 15 years. 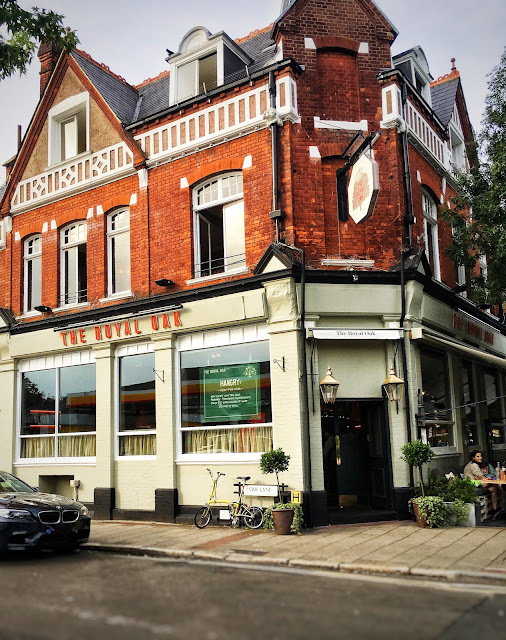 The restaurant went through an ownership change back in January (the former owners having connections with other Richmond restaurants, La Buvette and A Cena, as well as Covent Garden restaurant Joe Allens). The new proprietor happens to be the same owner of a very popular Italian restaurant, Bacco, in Richmond. Bacco is one of my top Italian fine dining eats and here's a review of Bacco here. 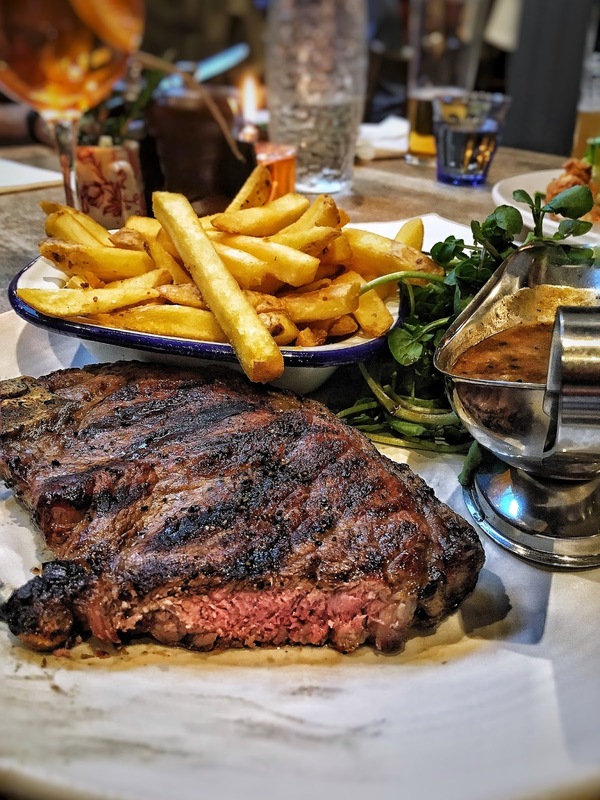 Here are a list of excellent fine dining restaurants in Richmond and Twickenham, for celebrating anniversaries, valentines, first dates or an intimate dinner. This is one for the grown-up lovers. PHR mixes vintage charm with fine dining topped with one of the nicest views in the borough. You'll have Petersham meadows and the river Thames as a backdrop to your romantic evening. One of two great restaurants located close to the water, what better way to top off your night, than a leisurely stroll along the river Thames. 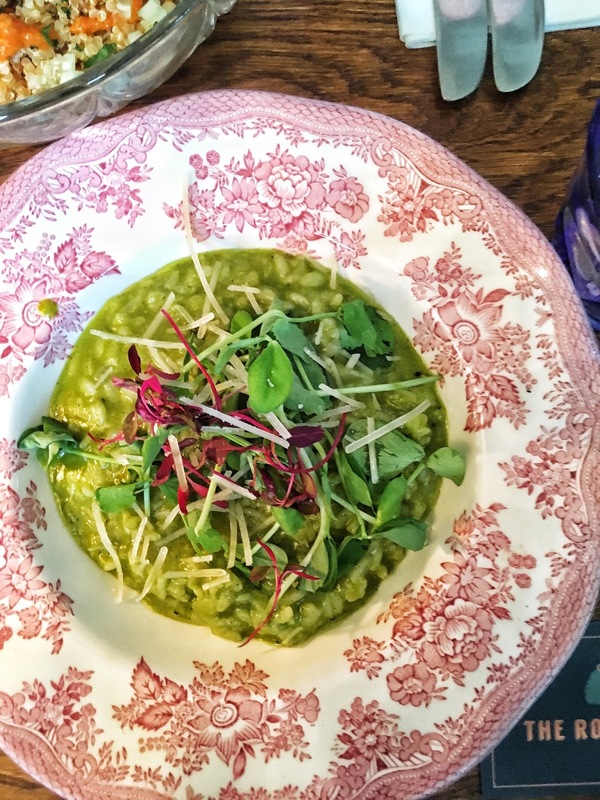 Things are looking up for Petersham Hotel, they have a new Head Chef Adebola Adeshina who seems to be proving a winner for the restaurant, and I was to discover why. Adebola is a popular chap (fanboy's in my twitter stream confessing their love), he is most certainly friendly, has oodles of experience to match and it is understandable why, he is an all round nice guy. Adebola worked at a number of top London eateries, starting out at Gordon Ramsay's first restaurant, Aubergine before moving on to Gordon's 3 Michelin star restaurant on Hospital Road. He's also worked with Marcus Wareing at Petrus, Philip Howard at the Square, ...I mean, what more could you possibly want?